Just when you thought optimizing your website for search on desktop browsers was becoming tough, then comes optimizing your website for mobile search. 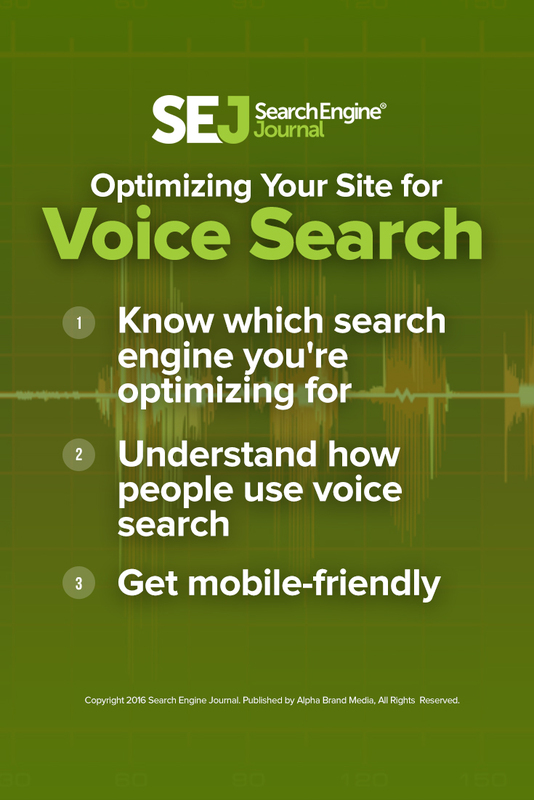 Once you were almost at peace with the fact that you might have mobile search engine optimization down, then along comes optimizing your website for voice search. 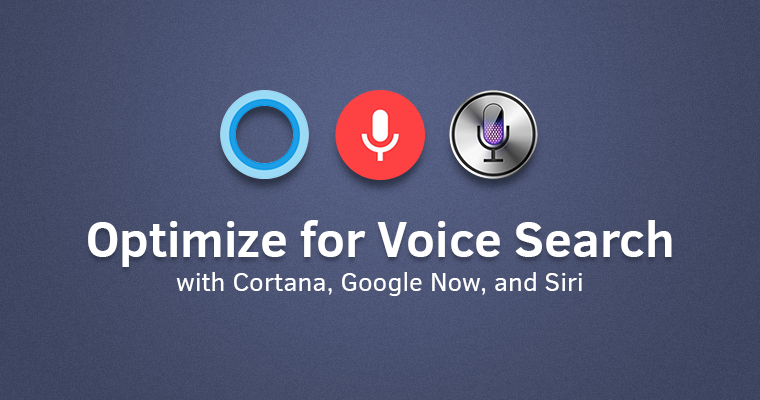 Siri, Google Now, and Cortana are just the start. In this post, I am going to look at how you can optimize your website for voice search. Because, as of 2014, over half of teens, and over 40% of adults were using it on a daily basis. Or more importantly, we’re going to look at the differences between preparing to optimize for search engines that let users search via the spoken word versus the typed word. While Google may dominate the desktop and mobile search world, could Bing take over voice search? 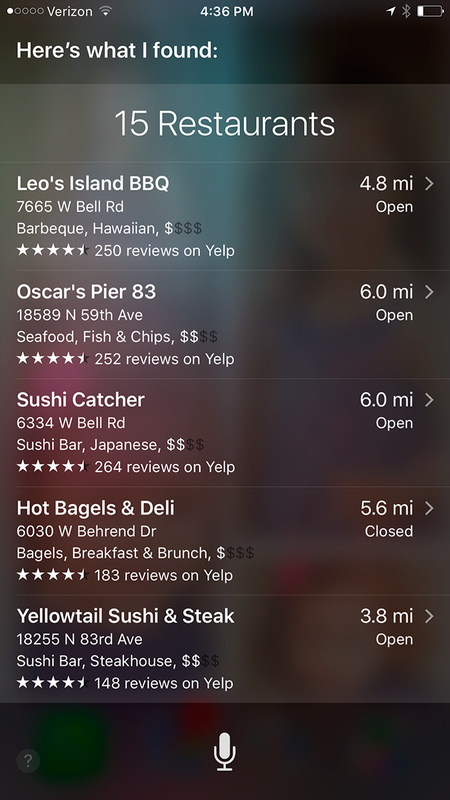 When iOS 7 arrived, Siri began using Bing as its default search engine, meaning that all iPhone and iPad users have to specifically ask to search Google. Otherwise, their queries will go to Bing. And Cortana, obviously, will use Bing by default since it’s Windows. You might think this means Bing is the winner of voice search. But even though it feels like everyone is an iPhone user in certain circles, the data speaks for itself. According to the IDC’s latest findings, the 2016 Android market share (world-wide shipments) equals 83.7%, while the iOS share is only 15.3%. Thus, Android devices – powered by Google – are still winning. The percentage is significantly higher than iOS users, likely due to the high cost of an iPhone or iPad. Hence, Google still likely wins in the voice search world as it does in the desktop and mobile search world. It may sound a bit silly, but start at the ground floor (user-level) of voice search. Pretend like you have just bought your first iPhone, Android, or Windows mobile device. 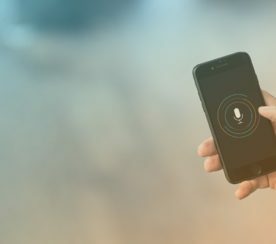 Read guides that an average smart phone user would on how to get the most out of voice search for the first time. Yes I know, you’re not your average smart phone user or your average searcher. But for just a moment, pretend to be. Because that’s who you are optimizing your website for – the average voice search users. 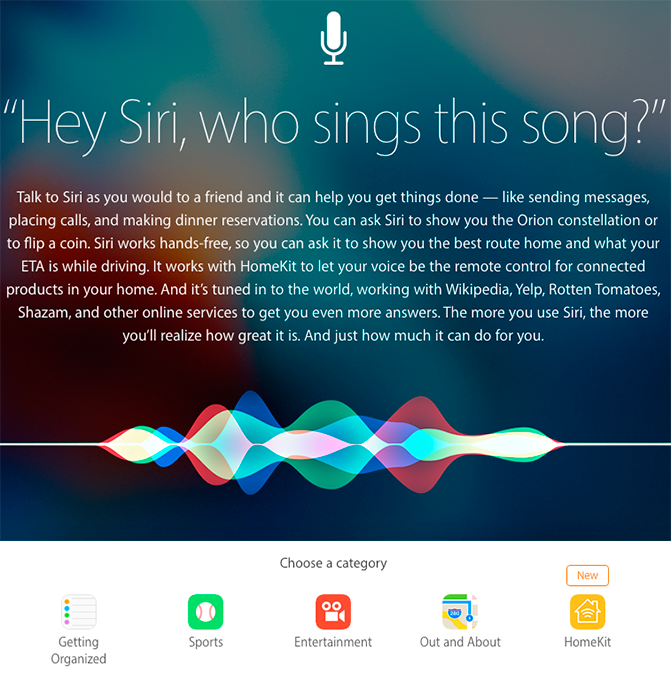 For example, Apple has a great guide on ways users can use Siri to guide them to personal information on their phone to general information on the internet. It’s quite visual and fun to go through. Even as an experienced iPhone user, you still might learn a thing or two from it. Google and Cortana also provide similar guides. You can then review third-party guides like CNET’s complete list of Siri commands, Ok Google commands, and Cortana commands. These might be good to bookmark as go-to resources when trying to remember questions and phrases people might use for voice search. Overall, the goal is to give you an idea of how each brand behind voice search teaches their users to use voice search. You can use these voice search-specific questions and phrases when you start optimizing your website for voice search, or specific pages for voice search. Some people might think you’re goofing off in your office if they catch you reading articles like 60 Funny Things to Ask Siri, 140 Questions Siri Has Hilarious Answers For, 70+ Awesome Ok Google Voice Commands, and 131 Questions to Ask Cortana. But these are the exact articles you should be reading next, after the general user guides to voice search engines. Here’s why. You should read them because they are funny, and funny lists like these are ones that people will share with their friends. One of those was shared over 34 thousand times, to give you an example. And because they are funny and shared so often, there are likely a lot of voice search users who learned their voice search tactics from one of these lists, or ones like them. Hence, you will likely learn more about the ways that people talk to Siri, Google, and Cortana. While some things you read will be irrelevant to your business, other things might be useful regarding questions and phrases that could be applied to optimizing your web pages for voice search. You may even find a way to inject some humor into your business content that could attract your customers and engage them in all new ways! When optimizing your website for Google search, people typically go to the Google AdWords Keyword Planner to find out what keyword is typed into search engines most. But when you think about it, most people don’t say things the same way they would write them. The same is likely to occur when they search for things verbally via voice search. This is why you need to listen to the way people reference you, your business, your products, and your services when you are talking to prospects, customers, vendors, friends, family, or anyone else who might inquire about your business. Listen to the words they use. These might very likely be the words that people use when searching for you via voice search. Think about your keyword phrases in a more conversational context than a written one. Where someone might type Chinese takeout near me into Google, they would say where is the closest Chinese takeout to me in voice search. 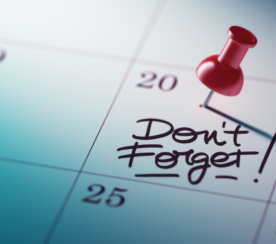 If you don’t normally talk to your customers on the phone or in person, try attending a local business networking event. This will give you a chance to explain your business in person with others who will ask questions and paraphrase what you say in terms they understand. Or terms that people outside your industry would potential use in a voice search query. Since most voice search is happening on a mobile device, it should be pretty obvious that if you want your website to be found by voice search, it should be mobile friendly for the voice search user. As always, remember that Google, in particular, is a fan of responsive web design, so that should be your first choice. Also, remember mobile-friendly is not just about design. It’s also about speed. You need your page to load as quickly as possible. Thanks to technologies like Facebook Instant Articles, Google AMP, and others, mobile users are becoming accustomed to websites loading faster and faster. Therefore, if you want to win in voice and mobile search, your website needs to fast and mobile friendly. Two free tools that can help you make sure that you have both in check are Google’s Mobile Friendly Test and WebPageTest. Google’s tool will check to see if your website loads well on mobile devices and give you tips on what to fix if it doesn’t. WebPageTest will check how quickly your website loads on any devices (including mobile) and will show you exactly what elements on your website slow down your load time so you can remove or optimize them. Similar to being mobile friendly, it’s important to be local friendly, considering that a lot of people will be using voice search while driving, particular to find local businesses, get directions, or find phone numbers. Hence, you’ll want to make sure your mobile-friendly website also follows the basic local optimization rules of having all of your basic information in text format as opposed to having it in image format. Help voice search guide people to you. If regular Google search can’t crawl an image, you can rest assured that voice search isn’t going to be able to display an image of your address and phone number to someone driving in their car either. As you start to optimize your website or specific web pages for voice search, be sure to test the queries you are optimizing for on each voice search platform. Yes, you might have to invest in an extra, no contract device to get Siri and Cortana, depending on what you own now. But usually they are cheap, and they’re always worth it. Then start testing your queries just like you were an average person and see what happens. You may find that your website starts to rank in voice search, or you may find the following happens instead. While we’d love to believe that we can get visitors directly to our website from search engines, that’s not always the case. 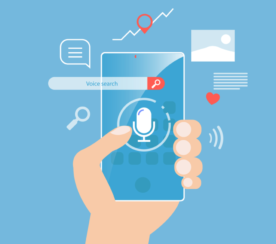 If you test out voice search for your top queries and find that they lead to networks like Yelp, Facebook, or others, then it’s your job to ensure your business is on those networks. In some cases, thanks to personalization, you may not have very much control over the situation, like a search for what restaurant do my Facebook friends like the most (if that’s even a search). But if your queries lead you to specific categories on local review directories, then try to get to the first page of those categories and, if possible, the top of the first page. Pay for advertising if you have to or focus heavily on building up your check-ins and reviews for that network. Keep in mind the rules for reviews, as you wouldn’t want to harm your local listing by trying to solicit or incentivized reviews in ways that break terms of service. As the world of technology evolves, marketers must learn new strategies to keep up with the changes. The same goes for search marketers and the world of voice search. If you follow the tips in this post, you should be a step ahead of your competitors who might not even be paying attention to the growth in voice search and the potential it has to be a game changer. In-post images: screenshots by Aleh Barysevich. Taken June 2016.